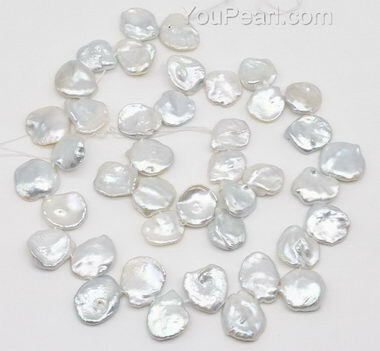 These large very light gray large keshi petal pearls are of great quality. 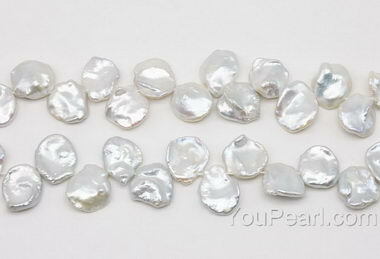 The nacre are thick with intense luster. The listed price is for one strand.